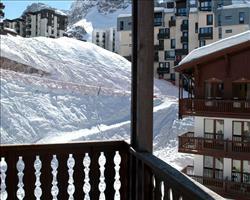 The Village Montana complex sits slopeside and looks out over Toviére mountain and the Grande Motte glacier. A stay here means you're in for a treat. These are lovely self catering apartments with views over the slopes, Toviére mountain and the Grande Motte glacier from your balcony. 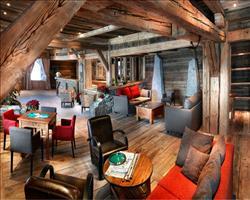 It's the perfect place for a morning coffee (or tea) before heading out on the slopes. Apartments sleep up to eight people which make them a great place for families and groups to holiday. There's so much to do including dining out in one of the three restaurants on-site, sipping G&T's in one of the two bars or relaxing in the spa. This is self-catering on a par with North American style condos because of the sheer size of each apartment. Here though, you have the added advantage of superb facilities to make your holiday that little bit more special. 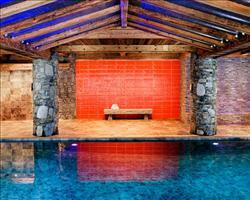 Les Bains du Montana spa is well worth a visit. Make sure you get good use of the heated Nordic swimming-pool (30°C), sauna, steam room, hot tub, relaxation room and herbal tea facilities. There's also massage and beauty treatments available if you want an extra treat. 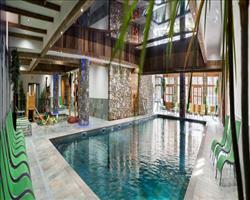 Entry to the spa costs approximately €10 per session for adults and €6 for children under 15. The spa facilities (sauna, steam room etc) are reserved for guests over 15 years old but under 15s may use the pool. The large, spacious apartments have plenty of light pouring in through floor-to-ceiling windows and sleep up to six people comfortably. Each is kitted out with an electric hob, oven, microwave, fridge, dishwasher, coffee maker, kettle, toaster and a full range of kitchenware. 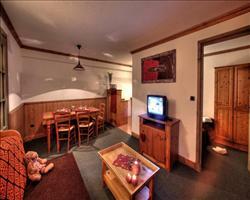 There's also free Wi-Fi, cable TV, a mini-safe and a spacious bathroom with hairdryer, towel heater, bath, shower and wc. For a little more luxury, go for a three bedroom Airelles apartment which has either a fireplace or a sauna and spa bath. Your beds are made upon arrival and towels are changed mid-week. There's also a cleaning kit and cleaning at the end of stay (except the kitchen and dishware) is all included. These are self-catered apartments so the choice is yours. The kitchen is well-equipped with everything you need to cook up a storm. Alternatively, dine in one of the four in-house restaurants or take a stroll into the resort centre and take your pick from over 60 restaurants and bars. We update Village Montana Residence (Le Lac)'s details often, but facilities do change. e.g. some extras listed by the supplier as "free" or included might only be for the first time you use them, or for one time per party, then charged for further use. If any specific feature is essential to your holiday, make sure you ask us to confirm the details of it before you book your holiday. 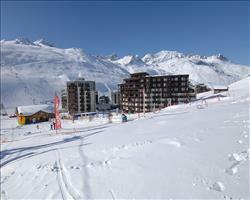 Tignes lift pass price last reported as €294 (adult 6 day). 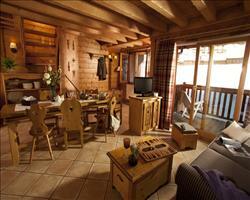 Ask for a quote when booking Village Montana Residence (Le Lac). Le Nevada Tignes France, Folkestone Eurotunnel 4th January. Kalinda Tignes France, Folkestone Eurotunnel 4th January. L'Ecrin Des Neiges Tignes France, Folkestone Eurotunnel 4th January. 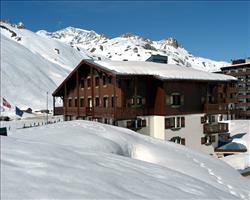 Val Claret Apartm... Tignes France, Dover Ferry 7th December. Village Montana A... Tignes France, Dover Ferry 7th December. La Ferme du Val C... Tignes France, Folkestone Eurotunnel 4th January. Residence Le Jhana Tignes France, Folkestone Eurotunnel 4th January. 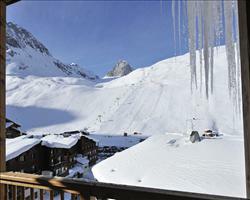 Residence Village... Tignes France, Folkestone Eurotunnel 4th January. Hameau du Borsat ... Tignes France, Dover Ferry 7th December. 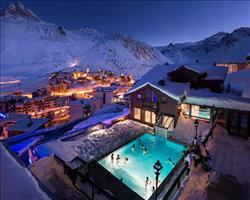 Val Claret Apartm... Tignes France, Folkestone Eurotunnel 4th January.